These rag dolls have been entertaining children from time immemorial. Recovering the tradition of these dolls helps each of us find the child within. Pilar has been making the Pilinchas for twenty years. Inspired by motherhood, she decided to devote herself to the things she loved the most: her daughters and their dolls. “When my daughters were born, I started making the dolls for them to play with” and thus she came up with the idea to become a doll maker by profession. One day while she was making the dolls, a friend came to visit who asked her to make one for her son. “This is also how the name for the dolls came about. One day, the boy came to my house with his doll and told me: ‘My pilincha broke’ because my nickname is Pily. The name stuck." So the pilinchas were born which have been conquering new territories around the world." The doll is made as a toy for children and is identified with the different cultures and people of Bolivia, so the artisan is not only exporting dolls. The pilinchas mainly represent the indigenous woman (chola). “I admire the chola from La Paz. She is feminine and beautiful and has a special poise and charm which I have incorporated into the doll. So the pilincha has become a favorite and is known in Córdoba, Argentina, Chile, Switzerland, the US and many other places,” according to Pilar. 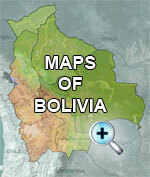 Recently the pilinchas have been exhibited at fairs in Bolivia as well as Europe and Latin America. These dolls are made of rags using tocuyo (a soft, cotton fabric). They are individually made and deliver ecological and cultural messages that make their creativity stand out. 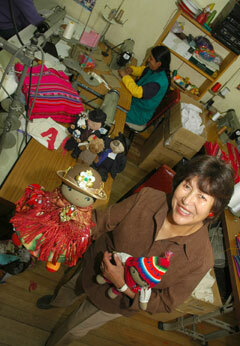 Today there are 14 workers at the pilinchas workshop whom Pilar trained to make these adorable dolls. This is how the pilinchas have made their way to different parts of the world to spread the culture they personify. Since all are handmade, they have individuality and originality.